A neat little optical illusion, these pots are simply sliced up the center and divided into two sides that join together at the top. 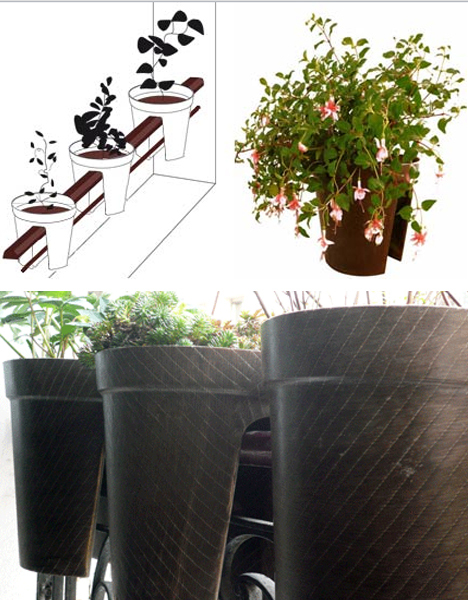 From below, it looks like a typical round, tapered, cylindrical container, but built right into the railing of a deck or staircase. Various plant carriers from az&mut emphasize versatility and portability – this one, for instance, can be slung over your arm (at least in theory). 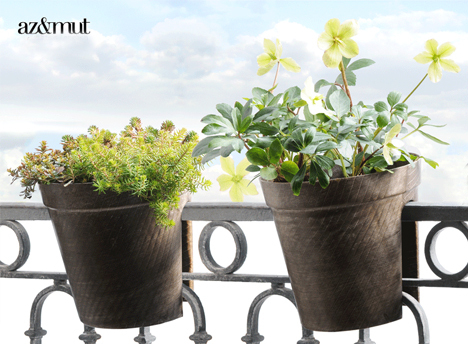 Made mostly of flax, it is frost-resistant and designed for four-season outside use. 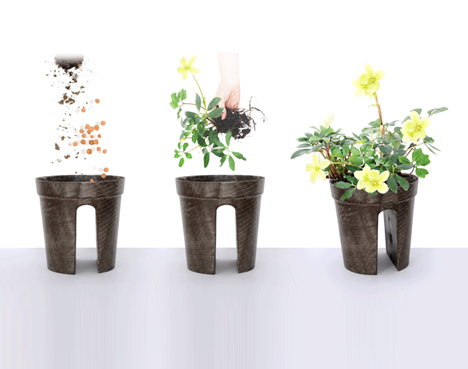 Since many plants have flexible root systems (and many pots hold multiple smaller plants anyway) there is no real functional reduction to letting the soil fall into either half over the other, and meet up only in the middle close to the opening above. 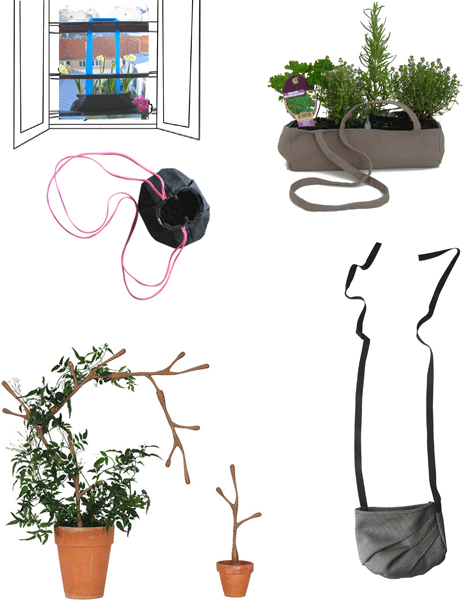 Along similar lines, the designers have also developed shoulder-bag holders for plants on the go, as well as cute climbing trellises that can be potted right in alongside a plant and used to modularly control its direction of growth.